Saturday - The Tour Lafitte that wasn't....which resulted in a 5 mile bike ride instead! Thursday - Finished work on the flowerbeds - all of the weeds are gone, YAY! After my first run last week, I realized that I'm going to need to get back into my PT routine if I want my return to running to be as smooth as possible. For Monday's workout, I incorporated my PT routine (squats/lunges/legs) with a little cardio and some core workouts. Hopefully this will help my IT band behave as it should! 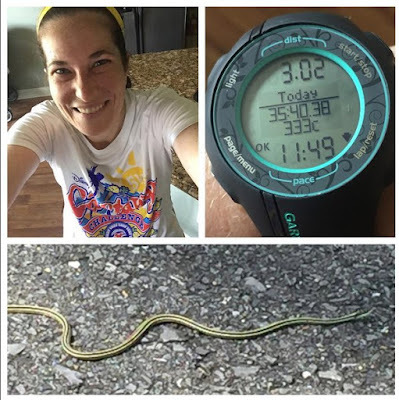 Tuesday's run was kind of interesting as I came across a garter snake in the road. Although he's not poisonous, I want nothing to do with snakes so I stayed far away! Also, my pace is nowhere near where I'd like it to be but let's be honest - this was only my 2nd run since having a baby and it will get there. I'm not worried about it as I did take this run easy with a 3:2 run/walk ratio. I'll continue doing the run/walk method until I feel comfortable pushing my pace again. 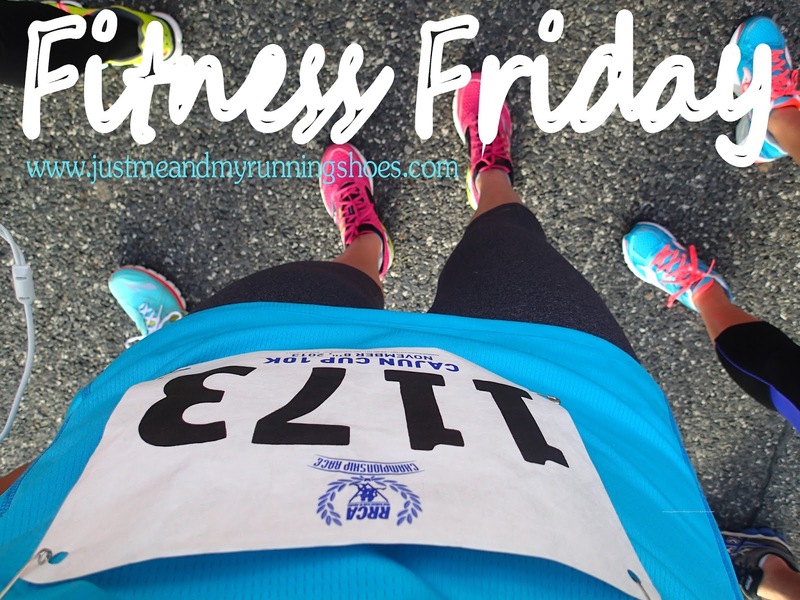 I do anticipate a run tomorrow - I may even try to get 4 miles in...we shall see! What's your weekend plans? Any races going on? Eeek! Funny you saw a snake since I just posted about that on Wednesday. Glad it wasn't a poisonous one! I forgot Tinkerbell was this weekend. That really was a great race. I wish Disneyland wasn't so far away! I thought that was funny too! This was the first snake I've seen this year! You're doing so great getting back into running and fitness Karen!!!! I'm with you....don't like snakes at all! Happy first Mother's Day girl!!! Hope it's great!!! Happy Mother's Day mama! Hope you enjoy your special day with your boys! Yay for getting back at it! No races but we have a Happy Hour party, 2 weddings & Mother's Day this weekend! That sounds like a fun weekend, Traci!! Enjoy! Doing the PT work is a good idea. You will get your running fitness back, it is good to be patient, but that is always easier to say than do! Planning to do 6 miles tomorrow. I haven't run that far since the CCC!